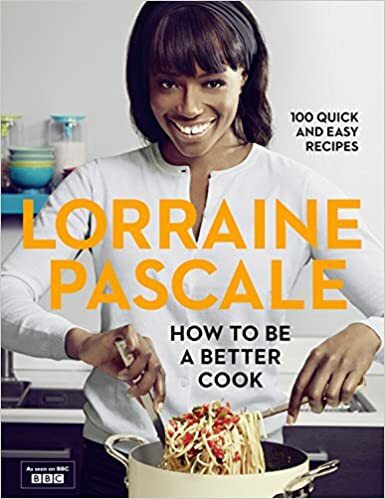 TV chef Lorraine Pascale's fabulous new prime-time BBC Two TV tie-in "How to be a Better Cook" Bestselling TV chef, Loraine is famous for her simple, delicious recipes to suit every occasion, and with this book she offers us even more: kitchen shortcuts to help you put gorgeous food on the table every time. Whether you're rustling up a cosy romantic supper or a big family feast, Lorraine will share her secrets (from good knife technique to quick tricks for stand-out presentation). And Lorraine's warmth and gentle encouragement comes across in every page and tip. She brings her sense of fun to the recipes and encourages everyone from beginner to expert alike to try new flavours and new methods and just get stuck in. Lorraine's latest book ties in to her fourth BBC series, in which she helps people live up to a wide range of cookery challenges. Lorraine draws on cuisines from Italian to West Indian, caters for occasions from Hen parties to Bonfire Night, and even refreshes old favourites from Roast dinner to Summer Pudding. Impress guests with chic snacks like chrorizo and lemongrass puff pastry scrolls; add spice to midweek meals with quick stir fried chicken with toasted cashew nuts, ginger, basil and hoisin sauce; and pander to your friends' and family's sweet tooth with delectable Jamaican rum truffles and spiced apple tarte tatins. With so many smart yet simple dishes to make, this is the cookery book your shelf deserves. Beautifully presented and packed full of photos and useful tips, the TV Kitchen Goddess brings another must have guide to creating effort-free and delicious food; the ultimate companion for stylish cooks of all abilities.